Part 1. What's GRUB and GRUB Loading Errors? GRUB stands for GRand Unified Bootloader, which is invoked by your system’s BIOS to load kernels and display a boot menu for users to choose from. It's similar to NTLDR or BOOTMGR for Windows, but support both Windows and Linux kernels, and comes with more features. However, if you haven't configured Grub properly, you will encounter GRUB errors like those described below. Grub Loading Error 15 : File not found. This error is displayed when the specified file name cannot be found. Grub Loading Error 17 : Cannot mount selected partition. This error is displayed when the partition requested exists, but the file system type is not be recognized by GRUB. Grub Loading Error 21 : Selected disk does not exist. This error is displayed if the disk is not recognized by the BIOS in the system. Grub Loading Error 22 : No such partition. This error is displayed if a requested partition isn't on the selected disk. Here are some simple solutions for all popular Grub loading errors. 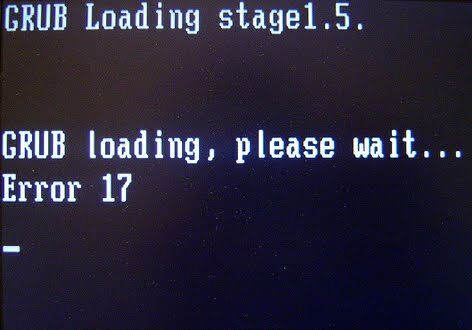 Grub Loading Error 17: Make sure your root(x,y) settings are right in your Grub.conf. You could use a distribution CD or Live CD to set up Grub like shown below. (h0,0) means the first hard drive and the first partition on that drive. Grub Loading Error 21: Make sure the disk is correctly connected and detected by the BIOS. Grub Loading Error 22: You can use the Windows Installation Disc to run a Startup Repair and fix MBR. The Grub loading error generally occurs when Grub is trying to load a non-Windows system. So you can fix the MBR with the Startup Repair option on the Windows Installation Disc and then re-install Grub. For Unix-like systems, use the distribution CD or Live CD. If you do not have a Windows Installation Disc, borrow one or use PowerSuite Golden which allows you to boot any computer for fixing errors and installing a new Windows system. 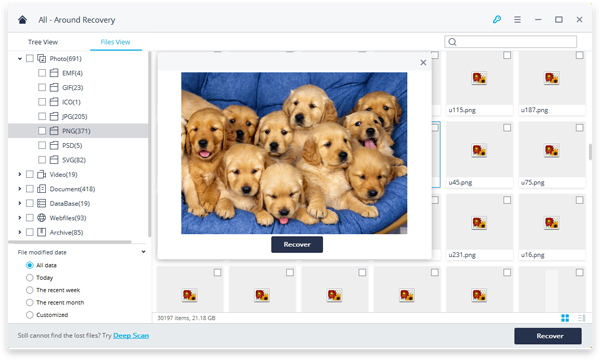 PowerSuite Golden has an intuitive graphic interface and is extremely easy to use. Create a bootable CD/DVD/USB on another PC to boot any computer. Fix MBR in Boot Crash Solution. Re-install and configure Grub properly to load all systems installed in your hard drive. GRUB loading errors often come along with data loss on your hard drive. It`s also possible that some files or data on your pc are accidentally deleted or formatted during the process of fixing this issue. If this happens, you`ll need a powerful data recovery tool to make sure no important photos, videos, emails or documents are lost because of the GRUB loading errors.